What’s So Great About Orlando For Families? Orlando is known for its world-class theme parks, but there is a lot more to the Holiday Capital of the World than Mickey Mouse, Harry Potter and Shamu. Family holidays in Orlando have a special memory-making magic that extends well beyond the parks’ boundaries; you just need to know where to find it. Whether you’re taking a day off from the theme parks or just want to immerse in the “real Florida” experience, here are the best family-friendly gems. Venturing into Florida’s underbrush in search of wildlife isn’t the wisest idea, so Wild Florida in Kenansville brings the native fauna to you, through 21 habitats in their 8-acre Wildlife and Gator Park, including a massive alligator pond where daily feedings take place. The impact of seeing gators up close is immense for children, and the park’s environmental message comes through in a fun, engaging way. Even better? Most of the animals are rescues, unable to survive in the wild. Take a ‘selfie’ with a sloth, spend time in the lemur or porcupine habitat, or pose with a small gator, then take to the water on an airboat ride to see gators in the wild, or board the Ranch Buggy and discover real cowboys working the Doc Partin Ranch, one of Florida’s oldest cattle operations. Ditch the flip-flops and designer shorts in favour of jeans and old trainers, because 230-acre Revolution Off Road in Clermont is all about getting dirty – possibly very dirty – tearing up the terrain onboard an ATV, off-road Buggy, or Mucky Duck amphibious vehicle. Revolution Off Road provides that illusive “Wow” factor for teens, but children as young as 2 can experience the thrills of the Buggy and Mucky Duck. Expert instructors teach marksmanship to 16s and up at the clay shooting range, while 7s and up can aim for the bullseye at the archery range. 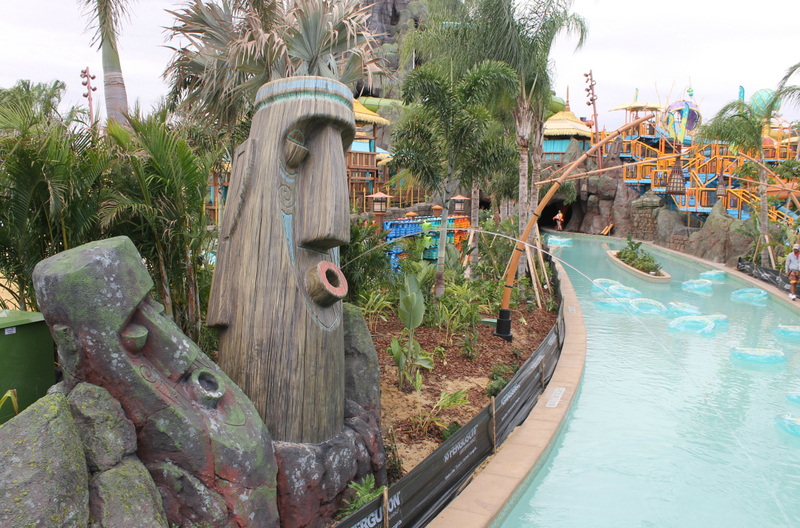 Head to Orlando’s newest water park, Volcano Bay, where the TapuTapu return-time reservation system means less time in a queue and more time achieving epic splash-downs. Krakatoa volcano in the centre of the park sets the tone for 18 water attractions, including slides, white-water rapids, serene rivers and landscaped lagoons in 3 tropical village settings. 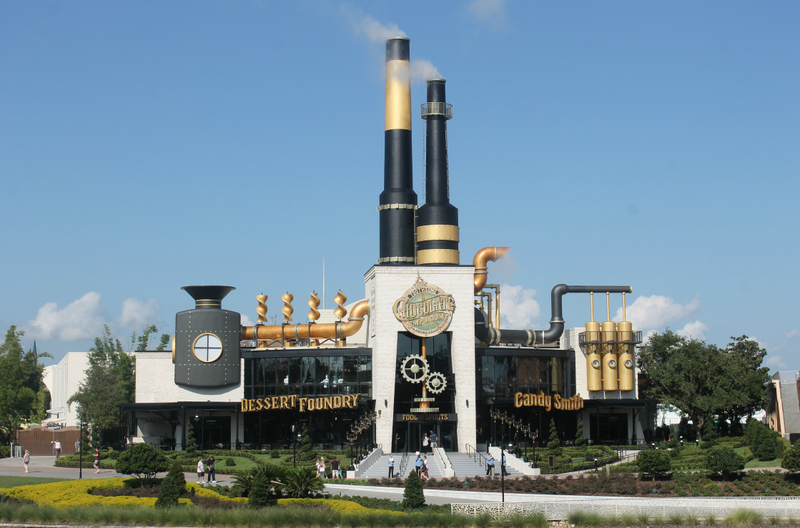 Also new at Universal Orlando is themed Toothsome Chocolate Factory & Savory Feast Kitchen, a spectacular Steampunk inspired building that is part sweet shop and part restaurant, with loads of kid-appeal. The artisanal milk shakes are so massive they’re a meal in themselves. Emporium ‘owner’ Penelope and her robot companion Jacques roam the restaurant, and the menu’s gigantic selection ensures even finicky children will find plenty to enjoy. Adults aren’t forgotten, with a superb bar serving hand-crafted cocktails. It’s science. It’s chemistry. It’s ice cream! Find out what happens when liquid nitrogen meets your choice of ice cream base and add-ins at Abracadabra Ice Cream Factory in Kissimmee, where ‘flash freezing’ results in a sweet treat, right before your eyes. Children love being photographed with the resulting “magic cloud” that pours over the countertop during the freezing process. Pizza, sandwiches, salads and wings are available, and ice cream combinations are practically endless. Kids can even work off their sugar rush at the onsite playground. Rainforest Café and T-Rex Café at Disney Springs take themed dining to a new level in jungle and prehistoric settings, respectively. Meet elephants and gorillas or a T-Rex and Triceratops, and endure a tropical thunderstorm or a meteor shower in realistic surroundings children adore. Their extensive menus are equally kid-friendly. 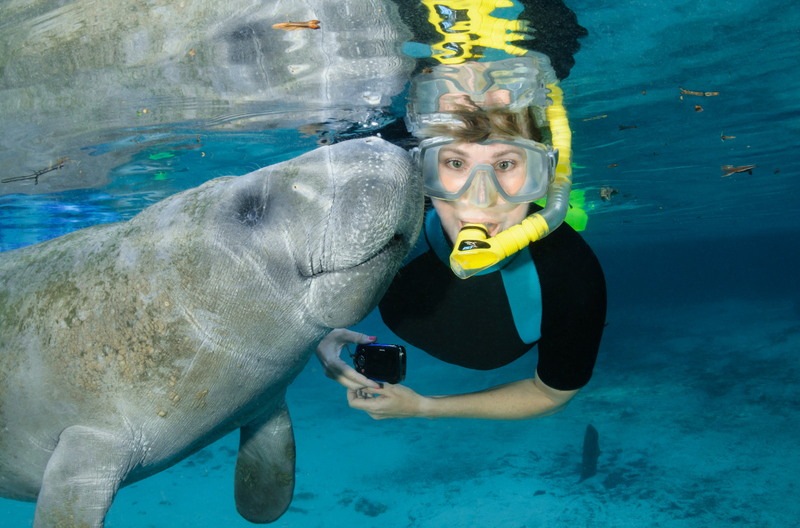 Come face to muzzle with Florida’s iconic marine mammal during a Manatee Swim in Crystal River, 90 minutes west of Orlando. Snorkel quietly alongside these gentle giants, whose curiosity may lead to an unforgettable encounter. ‘Passive observation’ is mandatory, so children do not need to be strong swimmers to take part, and many tours include swim noodles as well as ultra-buoyant wet suits to keep swimmers afloat. Kayaks, canoes, paddleboards and pontoon boats are also available for hire. Winter, the dolphin with a prosthetic tail, who became famous through the movie Dolphin Tale, makes her home at Clearwater Marine Aquarium along with other rescued marine mammals undergoing rehabilitation after injuries or deemed non-releasable. Meet dolphins, otters, turtles, stingrays and other ocean-going wildlife, then explore the intra-coastal waterway on board the Sea Life Safari boat for a fascinating hands-on journey geared specifically toward children. The best dolphin-spotting tour is found at Dolphin Landings Charter Boat Center in St Pete’s Beach, with its 2-hour Dolphin Watch excursion on calm Boca Ciega Bay, home to over 700 dolphins. The sailing yacht is ideally suited for families, and the bay’s warm water attracts mother dolphins and their babies, so sightings are ‘99% guaranteed’. Depending on season, you may even see manatees. Experience skydiving without jumping from a plane at iFly Orlando on International Drive. This massive indoor wind tunnel creates an air current that holds flyers aloft, and expert instructors fly along with you providing tips and encouragement, culminating in an unforgettable finale as they take each flyer by the hands and perform airborne acrobatics. Teens won’t stop talking about it, but children as young as 3 will feel successful, too. If you can make a ball move across grass, you can play Footgolf, one of Orlando’s most family-orientated games. Similar to golf, but without the need for clubs or much skill, the game involves a golf course, footballs and loads of laughter. The whole family can participate, and it may prove a holiday highlight. One of Florida’s most astonishing adventures occurs in the hottest months of summer, as conditions become ideal in Indian River for bioluminescence. Darting fish look like fireworks, each stroke of your kayak’s paddle leaves a shimmering trail, and the outlines of dolphin, manatee and other marine life take on an other-worldly glow. A nighttime Bioluminescent kayak tour brings this incredible phenomenon to visitors, and it’s an experience the family will never forget.